“I’ll be back” – it was these three words from the cult film THE TERMINATOR (1984) that made Arnold Schwarzenegger a movie icon. For decades, he has been fascinating fans around the world as athlete and action hero. Austrian-born Schwarzenegger scooped multiple bodybuilding titles before beginning his acting career, and landing the role that was to be his screen breakthrough in director John Milius’ 1982 action fantasy CONAN, THE BARBARIAN. He has since dominated the American action film genre like no other, starring in such films as the TERMINATOR series, PREDATOR (1987), TOTAL RECALL (1990) and TRUE LIES (1994). 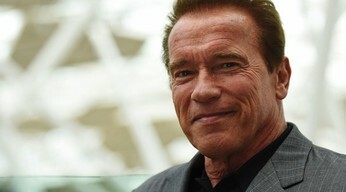 Instead of resting on the laurels of his screen career, Schwarzenegger decided in 2003 to take the plunge into politics and was elected Governor of California in the same year, a position he held from 2003 until 2011. 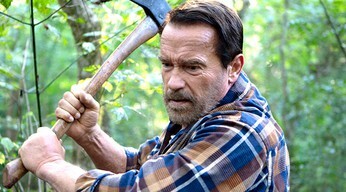 Arnold Schwarzenegger will accept the Golden Icon Award in person at the corso cinema on Wednesday, September 30, when he will also present his most recent film MAGGIE.